Dependable director Alex Garland revealed a serious knack for sci-fi with Ex Machina, and he's set to return to that well with Annihilation. As previously reported, the film once again features Oscar Isaac. That said, Natalie Portman is the true star, as evidenced by the new trailer. The film looks like one hell of a trippy and mysterious ride, packed with plenty of eye-popping special effects and exciting action sequences. 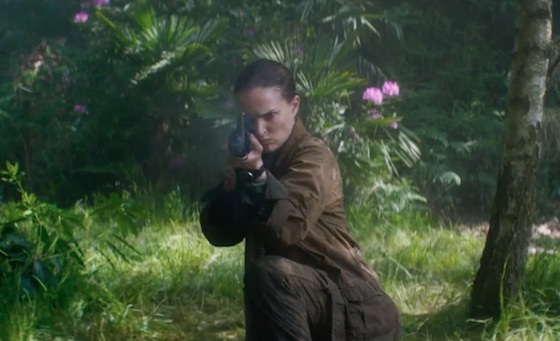 Watch the first trailer for Annihilation below. Annihilation hits theaters on February 23.